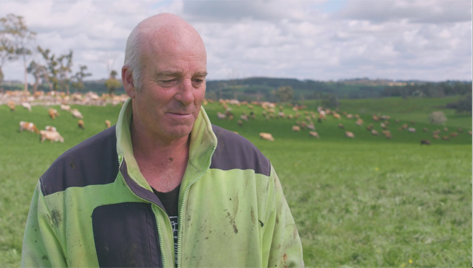 Rokeby Farms is an innovative dairy company based in Melbourne. We make a range of award-winning dairy products that are wholesome, nutritious and delicious. We source fresh milk from a collection of farms located in and around Rokeby which is a small town nestled in the heart of Gippsland’s dairy region approximately 100km east of Melbourne. Thanks to Gippsland’s naturally high rainfall our cows enjoy a predominantly pasture fed diet and produce the highest quality milk that goes into our fresh beverages and yoghurts. We source high quality milk from local farmers who breed and nurture the healthiest cows. We are proud to support Australian farmers who help us create wholesome and nutritious products for everyday Australians. Trevor and Anthea have called Gippsland their home for over twenty years and are committed dairy farmers and jersey cow breeders. They manage a herd of over 700 healthy and happy cows that graze across their beautiful 200 hectare property in West Gippsland. Where are Rokeby Farms products available? Rokeby Farms products are available through independent retailers, supermarket retailers (Woolworths, Coles and IGA) and convenience retailers (7 Eleven, BP, Caltext and more). For more details please visit our Stocksist page on this website or feel free to contact us. Where are Rokeby Farms products made? Rokeby Farms was established by MADE in 2014, an independent food and beverage company based in Melbourne. The Rokeby Farms products are produced at MADE’s manufacturing facility located in Melbourne using fresh milk sourced from dairy farms located in nearby Gippland, Victoria. Rokeby Farms is a leading Australian dairy company known for innovative dairy products. We source dairy from a collective of dairy farms located in and around Rokeby, a small town located in the heart of Gippsland’s dairy producing region. 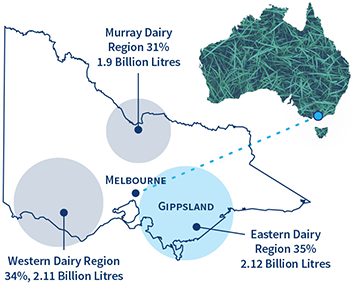 Gippsland accounts for almost a quarter of Australia’s milk production and boasts the highest quality dairy due to its climate and rainfall. Rokeby Farms is a brand owned by Made Group, and Australian owned and operated food & beverage business. Rokeby Farms was established in 2014 with the introduction of its Whole Protein Breakfast Smoothie, and has expanded it’s product range to include Swedish Style Quark Yoghurt and Filmjölk Probiotic Milk. Quality and innovation are at the heart of what we do.